This weekend Chunk and I were invited to one of the many family activity days that McDonald's are running across the country this summer. McDonald's have created the #HelloGoodTimes days to help us parents entertain our kids over the summer holidays. Each event offers plenty of fun, family-friendly things to do including face painting, air guitar, ball pits and even free Mcflurry ice cream. 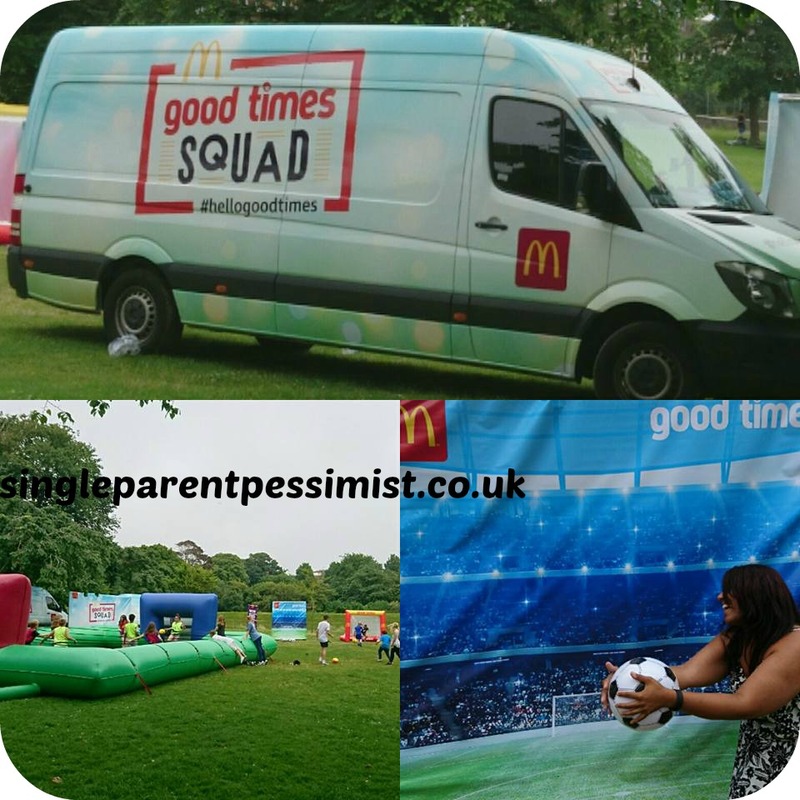 At the event we attended there were football nets, giveaways and a life-size human table football where the kids got to be the table footballers! Chunk enjoyed the football part of our event because he's recently got a taste for the game and seems to be quite a good striker! So I played goalie with one of the nets for a while before some of the McDonald's team (aka the Good Times Squad) ran other games we could participate in. There was also a goal backdrop so you could take photographs using props to then tweet for the chance to win football match tickets, so naturally I embarrassed myself as you can see from the pics! Each of these fun days have a football-focused section as well as various other games which encourage children and families to spend time together creating happy, fun-filled memories. To find out what events McDonald's are running near you, visit the activity days section of their website to view their map. This is a collaborative post. All views are honest and my own.